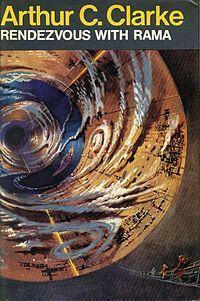 Barry Kirwan Blog: What would really intelligent aliens want? What would really intelligent aliens want? They have sufficient resources to remain comfortable. A lot of other species (but not us, right?) might treat them as gods. So, what might such aliens want? Would they be sublime, or unbelievably bored? Here are some potential scenarios. It’s conceivable that such long-lived aliens (i.e. millions of years) might decide to die or sleep for untold millennia until something interesting happens worth waking up for. 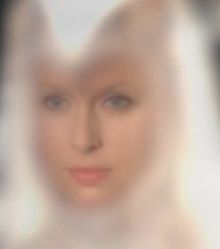 This has been used in various scifi works, where one can wake up something very intelligent (Vernor Vinge's A Fire Upon the Deep is a nice example of waking up something very intelligent, and very nasty!). In my third book, Eden’s Revenge, a being from one of the very advanced races, the Kalarash, comments that he tried death for a million years or so, but it was so unmemorable he'd rather not try it again. I can’t remember who thought of this first (I’m pretty sure I read it in one of Asimov’s later Foundation books), but the idea is that an alien intelligence merges with the biosphere of a planet, diversifying its intelligence into all the life-forms. The idea I suppose is that this way, the alien's intelligence would be fully occupied, and could re-experience the simple pleasures of existence (a deer running, a bird flying) that it has lost by becoming so intellectually advanced. Well, this is probably wishful thinking, but such an advanced species might be altruistic and decide to help other species along with their evolutionary growing pains, or exterminate ‘weeds’ where necessary. Hmm, we’d better be careful on that score, given our current propensity for trashing our planet. A nice example of this idea is Greg Egan’s Quarantine, where Earth and humanity are locked into quarantine, without ever knowing why. 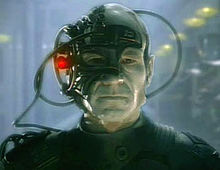 Other cinematic examples include the ‘Caretaker’, a super-being who effectively launches the Star Trek Voyager series. Staying with Star Trek for a moment, the Borg are one of the most interesting and frightening alien concepts, wherein highly intelligent aliens would want to assimilate all intelligences into their own, embracing the richness of that intelligence whilst simultaneously destroying its individuality. This is like a warped version of social networking, where the principle of liking someone because he or she is ‘one of us’ is taken to its logical extreme. Xenophobia (fear of ‘otherness’) might well be a Darwinian galactic survival trait. 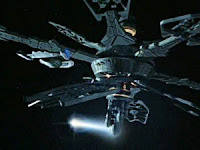 Stargate also picked up this idea in its machine ‘replicator’ species. Greg Bear’s Hammer of God and Anvil of Stars address this issue, which is that if you’re really smart you get rid of the competition. This of course has to be an option, and Bear’s fiction on this concept is masterful. If there is such a species out there, then we’d better stay quiet till we’re ready to defend ourselves. 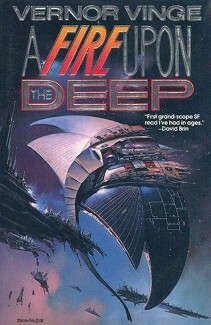 Peter F. Hamilton’s Timelike Infinity alludes to this idea, with a species concerned with preparing for the end of the universe and how to escape it or prevent it. 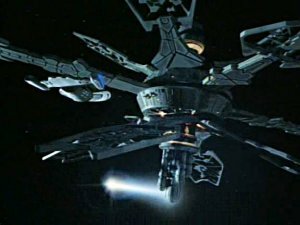 It would certainly seem to be a contender for a highly advanced species, a project that might keep them busy for a while. Hey, wait a minute, we’re too stupid to even imagine their goals, right? It would be like asking an ant to observe a cocktail party and tell us what it thought was going on. I think of Arthur C Clarke’s compelling Rama series which is a wonderful example of this idea, as it is also an acute observation of human reactions under stress. 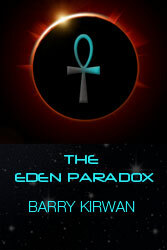 In my own science fiction series that starts with The Eden Paradox, I have created a universe where there are nineteen levels of intelligence (we are third from the bottom, I’m afraid). In the first book, we barely escape a ‘culling’. In Eden’s Trial we meet the Level Seventeen intelligence called the Tla Beth who basically run things in our galaxy. The top race, the Kalarash, haven’t been seen for over a million years, but toward the end of the book, mankind comes into contact with one of them. In book three, Eden’s Revenge, the Kalarash are more prominent, but they are trying to do battle with an equivalent and nastier being, Qorall, who has invaded the galaxy. However, Qorall’s motives are unclear, because he seems almost content to destroy the galaxy as much as win it. It is only in the last pages that his true strategy becomes clear. The final book in the series, Return to Eden, will see the war play out, and humanity’s destiny as a key tactical element in that war will be revealed, as well as the higher level races’ ambitions after the war. 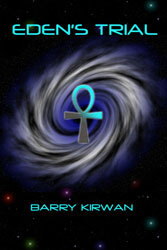 Return to Eden is coming end 2013. Should a hero who kills people feel remorse?